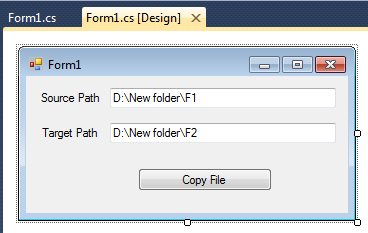 This article will show you how you can copy file from one directory to other directory in windows application using c#.net. 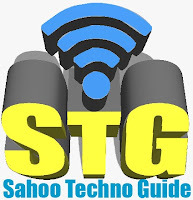 Some of my previous articles are as follows: Blinking Text in C#.Net Windows Application, Focus on TextBox in C#.Net in Windows Application, Limit OR Restrict Number of Characters in Textbox C#.Net In windows Application, AutoSuggest DropDownList In Windows Application Using C#.Net, Random Character and String Generation Using C#.Net, Windows Application and Linq, Strong Random String Password Generation Using C#.Net. so for this article we will create a new windows application and add the below code .